This side (or even main) is so easy to make and super flavorful. It can also make a nice school lunch or even breakfast with a fried egg on top. Cook the quinoa according to packaging instructions. Make the dressing by putting all the other ingredients in a small food processor and pulse. Pour the dressing over the quinoa (when still warm) and toss until all the ingredients are coated. 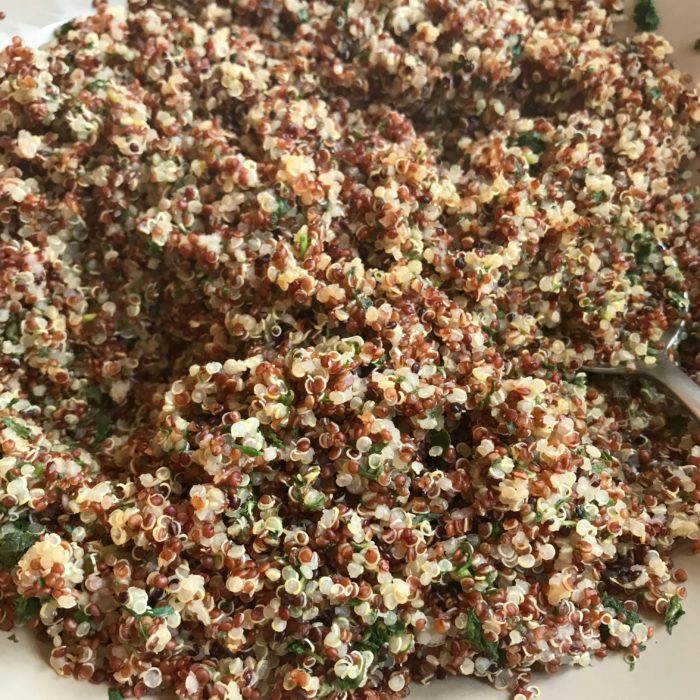 Transfer the quinoa to a bowl. Season with salt and pepper, to taste, and serve.